It can be tempting to include confetti in your graduation party decor, but try to keep it to a minimum if you want low maintenance cleanup. Is there a special soon-to-be grad in your life? May is a proud month for many parents as their children approach high school and college graduation. St. Mary’s County is home to some of the best schools in Maryland, including the prestigious St. Mary’s College. Earning an excellent education calls for a celebration. Just because you live in an apartment, it doesn’t mean you can’t show the graduate in your life how proud you are of their achievement. 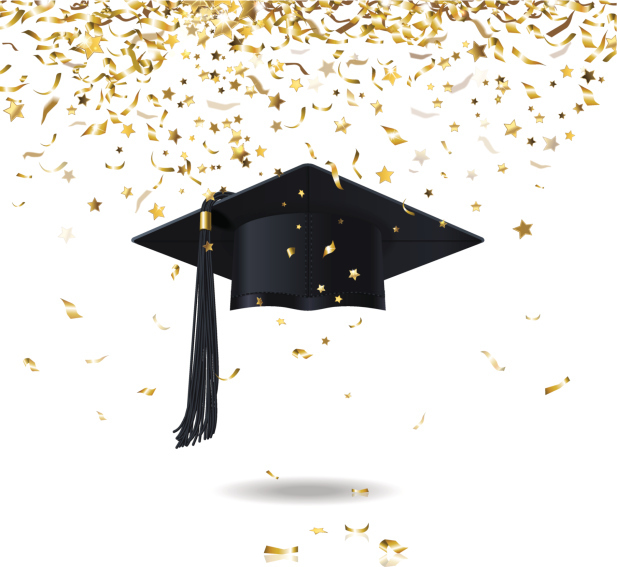 Follow these tips to host the perfect graduation party in your St. Mary’s County apartment. When purchasing graduation decor from a local party store, remember to keep the graduate’s school colors and hobbies in mind. Streamers, balloons, and colored confetti are all affordable decorative options that could transform your apartment into a true celebration. Use painters tape when hanging decorations to eliminate the chance of damaging paint or other wall surfaces in your apartment. If you want to maintain low maintenance cleanup, be sparing with confetti or glittery decorations. Plastic plates, cutlery, and tablecloths will also minimize cleanup and be more convenient for your guests. Limited space is perhaps the most common challenge when throwing a party in your apartment. What if you want to invite the whole family and your grad’s friends? Where will you find the space? You should never invite more people into your apartment than you can comfortably entertain. You should ensure that the attendees you invite will all have somewhere to sit, eat, and socialize. If you want to maximize the entertainment space in your apartment for the duration of the party, consider relocating some smaller items in your common rooms (side tables, shelves, clutter) to your bedroom temporarily. It’s springtime! If you are hosting a graduation party in your apartment as opposed to outdoors, let as much natural light in as you can. Pull the shades back and let the breeze roll in (weather permitting) to lighten the mood and brighten the room. Consider displaying some congratulatory fresh flowers in your kitchen or living room to add a pop of color. Still more interested in celebrating outside? When you live at The Apartments of Wildewood, you have access to amenities like our covered picnic pavilion, equipped with BBQ grills that are perfect for springtime celebrations! This entry was posted on Thursday, May 5th, 2016	at 4:05 am	. Both comments and pings are currently closed.